Accommodations | Mountain Lake Biological Station, U.Va. 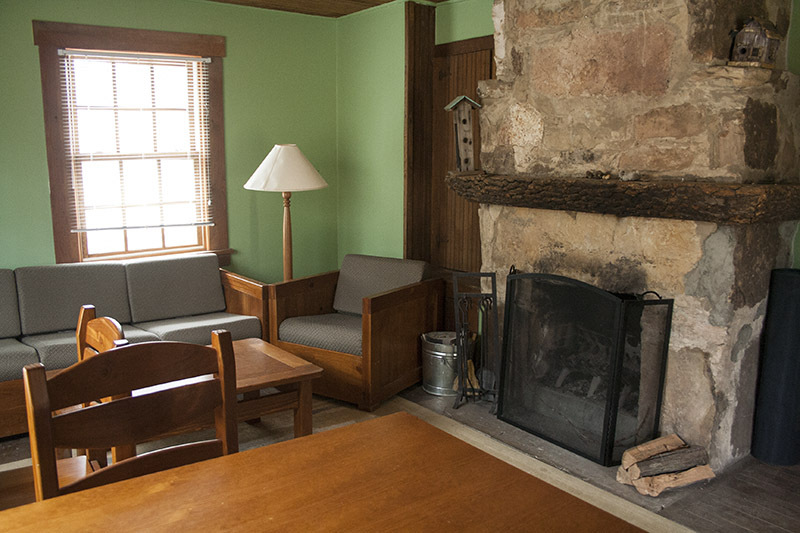 Housing is available year-round, and a variety of dorms and cottages are available. Sheets, blankets, pillows, towels and toiletries are not provided. Some housing units have baseboard heat, while others have only fireplaces (firewood is provided) or are unheated. All accommodations have indoor bathrooms. A few cottages have kitchenettes. Residents are responsible for housekeeping during their stay. The residential cottages built early in the Station's history were named (mostly) for naturalists who contributed to the natural sciences in the southern United States. Click here to learn a bit about the namesake of each. Accommodations have been renovated in recent years, but care was taken to maintain the character and rustic nature of the buildings. During much of the summer season (typically mid-May to August), a full-service dining hall serves three meals a day. When the dining hall is open, all residents are required to join the meal plan. With advance notice, most dietary restrictions can be met; please indicate special needs on your housing request or contact the station. 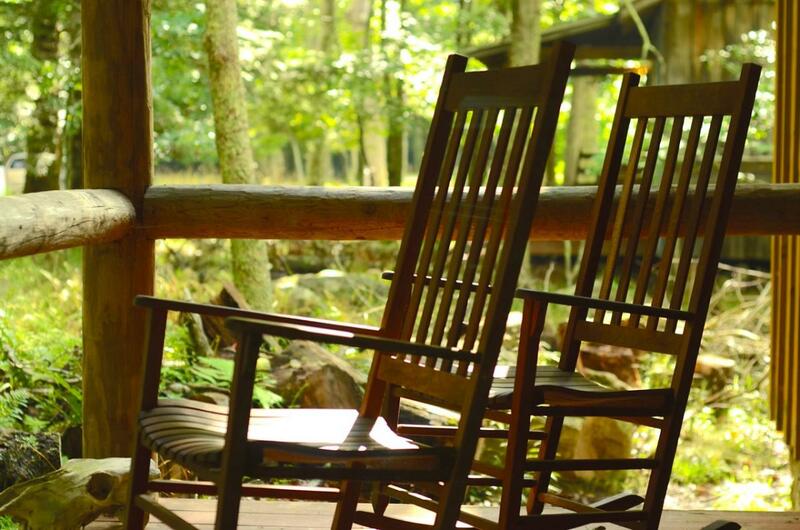 There is no cell signal at the Station, and there are no phones in cottages or dorms. There is a public phone in Lewis Hall from which residents may make free local calls or use a calling card for long distance calls. Internet-based communication methods are popular. Phone messages for residents can be left at the main office: 540-626-7196. Additional contact information is found here. Researchers and faculty may request telephone service to Lewis Hall labs or offices. Service is provided at cost. Open wireless internet access is available throughout most of the Station. Public workstations, file server access, and printer resources are available. Coin-operated washers and dryers are available. Residents must provide their own laundry detergent. In spite of the Station's southern location, its 3,800 ft elevation means that summers are pleasant and even cool. June and July days average in the 70s F. Nighttime temperatures range from 40-60 F. May and June are often wet and cold; July is usually warmer and dryer. Unexpected and often severe thunderstorms are common. If you visit in the summer, come prepared for warm sun; torrential downpours; cool, dripping fogs; and cold, crisp nights! Reliable rain gear, waterproof boots, and layered synthetic clothing is the best strategy. By mid-August, temperatures begin dropping, and it can snow as early as September. Winters are often harsh. Snow may fall as late as April or even early May. 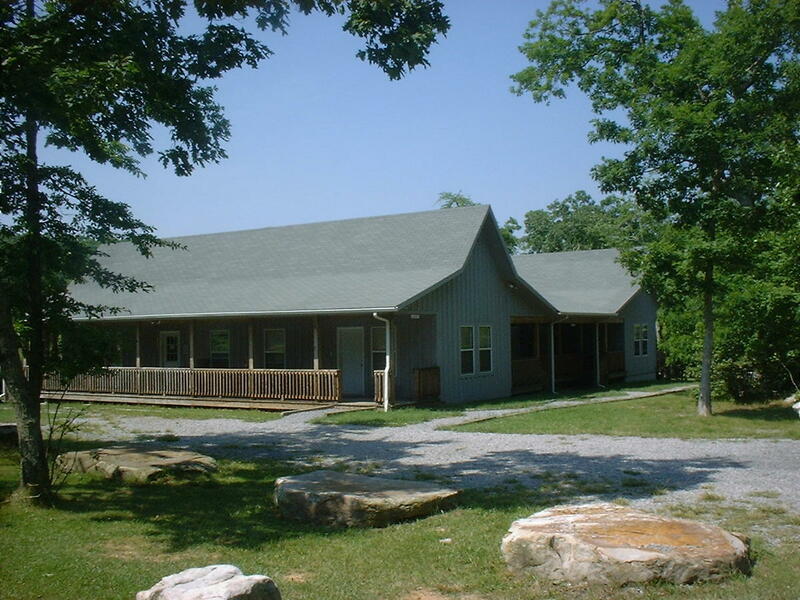 Recreational activities at/near the Station include campfires, square dancing, seminars, movies, volleyball, basketball, a team triathlon, swimming, hiking, and canoeing on the nearby New River. 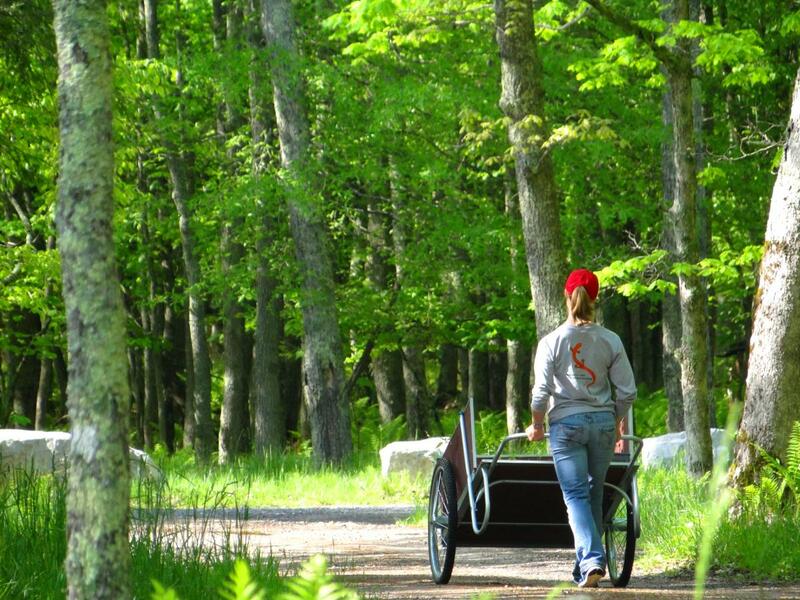 Other local attractions and resources are found on Giles County's web site. Blacksburg, a small university town (home of Virginia Tech), is a 30-minute drive. Dogs are not allowed, and may not be left in vehicles. Please do not arrive at MLBS with your dog. No pets of any kind are permitted on the Station without the explicit and advance permission of the Director. MLBS is a safe place to live and work. However, it is also a remote field station with limited facilities, access, and communications. The Station is surrounded on all sides by miles of hard-to-navigate terrain, and many activities at MLBS occur outdoors in unpredictable and demanding weather. The greatest risk to your health and safety at Mountain Lake is getting lost. Other hazards common to any backcountry situation apply. First aid kits are available on site, and staff are prepared to advise you on how to stay safe. The station is 30 minutes from the nearest hospital, and the 911 response time may be 30 minutes or more. Montgomery Regional Hospital (located in Christiansburg off Rte. 460) is approximately 20 miles from the Station. Carilion Giles Community Hospital (located in Pearisburg off Rte. 460) is smaller but slightly closer. Additional information on a variety of local medical services is found in the MLBS Handbook. The staff at MLBS are committed to providing a safe environment for all residents. Please notify station staff if you have any concerns about your own physical or mental health and safety, or that of others. Any and all concerns will be received with respect, compassion, and confidentiality. In any emergency where life or property is at risk, first dial 911. Then notify MLBS staff immediately, day or night. If staff and residents need to be summoned quickly, ring the dining hall bell loudly and continuously. MLBS is a unit of the University of Virginia. Anyone using the Station in any way is subject to the rules, regulations and customs of the University, including alcohol and drug policies, use of computer resources and communications (including digital copyright, obscene material and other information policies), and the academic Honor Code.In order to protect the interests of the community, Station administration reserves the right to dismiss any person behaving in an inappropriate manner or whose actions it is judged pose a danger to him/herself or others. Basic Station rules and procedures are outlined in the MLBS Handbook, and it is the responsibility of all users to read and follow them. Firearms are never permitted, including in vehicles. Mountain Lake Biological Station is a scientific research facility. Visits are by appointment or invitation only. All arrivals must register at the Station Office, 102 Lewis Hall. All Station users are required to complete the on line Liability Waiver prior to arrival. 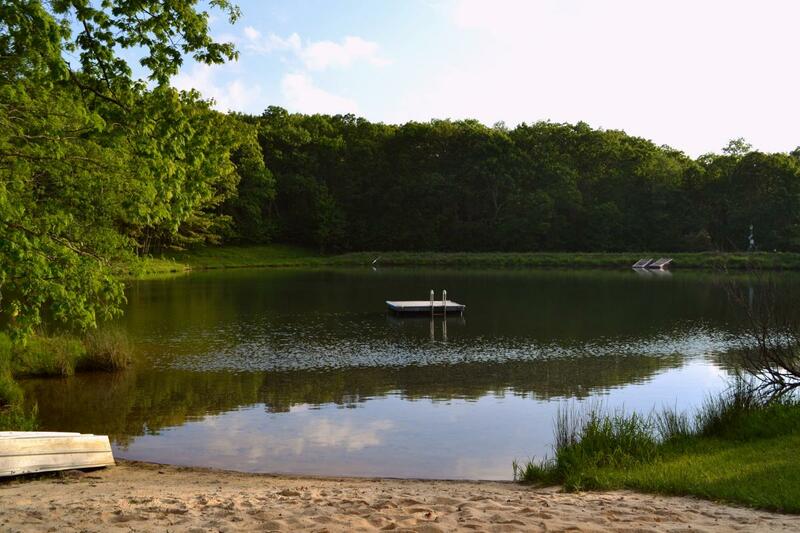 The family-oriented Mountain Lake Lodge is located just two miles from the Station on the shores of Mountain Lake. Family and friends of MLBS residents often enjoy staying in the Lodge or one of its private cottages. For reservations, call 540-626-7121. The town of Blacksburg, home of Virginia Tech, is a 30 minute drive from the Station. It offers a wide range of accommodations and services. If you are interested in hosting a scientific retreat, conference, or meeting at the Station, please visit the Group and Meeting Use page and contact us with questions.